Chop onion(here I used shallots becoz it add more taste), garlic and ginger to small pieces and keep it aside. In a pan slightly heat Red chilli powder and keep it aside…make sure it should not lose its colour..
Now grind the chopped things into a fine paste. Take a deep bottom vessel and heat it and when its heated pour the oil and once the oil is heated splutter the mustard seeds into.it. Now add the grinded paste and salt and saute it well..When the raw smell disappear add redchilli powder, turmeric and fenugreek powder and curry leaves in it. 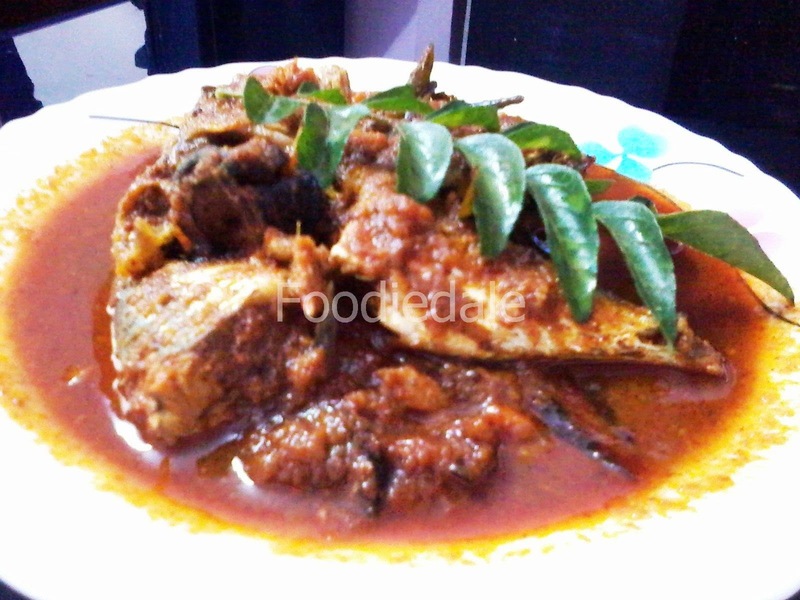 Now saute it well and pour water and add gambooge(Kudumpuli) into it and once the water is about to boil add Mackerel(Ayala fish) ..
Keep the pan on flame/heat and cook till Mackerel becomes tender and gravy is thick. Switch off the flame and enjoy it with Kappa or Rice..